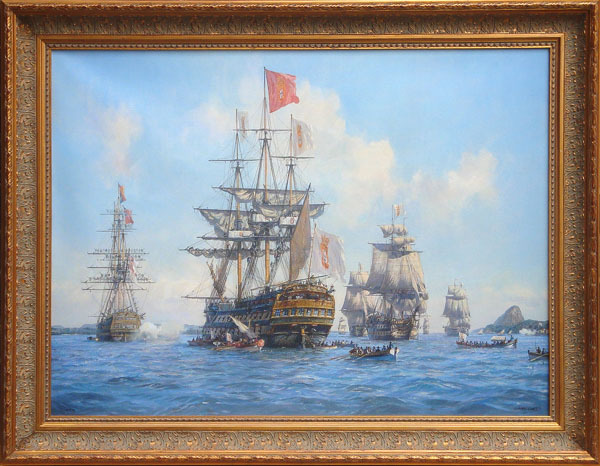 The Arrival of the Portuguese Royal Family in Brazil, 7 March 1808 - limited edition canvas. A dramatic series of Geoff's historical subjects including the newly-launched Arrival of the Portuguese Royal Family in Brazil. 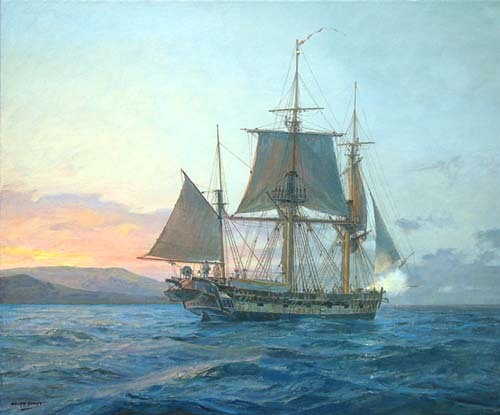 Plus HMS Beagle off the Galapagos ; an anti-slavery action by HMS Fantome, and three legendary trading clipper ships. Announcing the launch of Geoff Hunt's latest limited edition on canvas - The Arrival of the Portuguese Royal Family in Brazil, 7 March 1808. Another highly significant moment in maritine history is brought to life here: HMS Beagle off the Galapagos . For information on the only charity in the United Kingdom to work exclusively against slavery and related abuses, see Anti-Slavery International.